The leader in automatic vertical bagging machines, Rennco offers expertise in bagging equipment that is second to none. With more than 5,000 packaging equipment solutions delivered to more than 1,400 customers in 47 countries, Rennco has the experience to handle your vertical bagging needs. 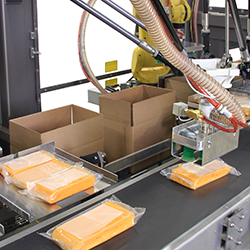 Automated vertical bagging machines serve an array of industries. From cup counters to lid packaging and plate infeed systems, all of your bagging and sealing needs are available from Rennco. If you are looking for automatic vertical bagging machines, allow Rennco to work for you. With endless features that ensure customer satisfaction, check out our line of automatic vertical bagging systems and learn the one that best suits your needs. 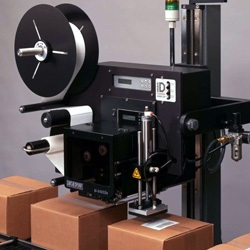 This trim press interfacing system is designed specifically for the disposables industry. The Voyager vertical L bar sealer is a fast, compact, smart, tough & convenient sealing option. The VCCL can handle single and double poly coated paper and clay coated cups. The model SPS counts, transfers & packages foam trays and polypropylene containers. The TCL gets product from trim presses & packaging lines of both foam and rigid plastic products. The plate infeed system counts, accumulates, transfers & packages your plate products. 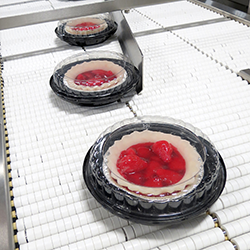 This lid packaging system utilizes a servo driven pusher to place stacks of lids into the bagger. The cup counter / cup loader accepts paper, thermoformed, selected injection molded & foam cups. 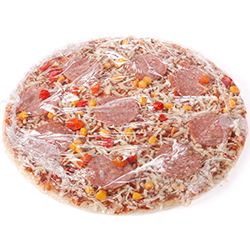 The Rennco bulk packaging system provides production for items that require bulk packaging.